Focus on conversation. Communication with your talent pool should never be a one-way street. Monologues about opportunities or even good content isn’t enough to keep your talent pool engaged. You must be open to answering questions about the job opportunities you’ve presented and the law firms you’re recruiting for. Remember, the best talent always shops around—they don’t just jump at opportunities, they dig deeper to find out more about the law firm and its firm culture. Ask for referrals. Most people in your talent pool won’t be interested or qualified for the job opportunities you’re posting, so ask for referrals. 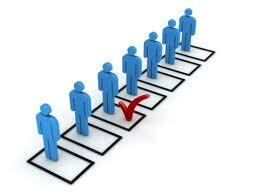 Each person in your talent pool may know at least one other person who might qualify for that open position. Getting them to forward the job posting is a valuable form of engagement. Provide relevant content. Make it a foundation of your engagement plan to share relevant content with your talent pool. Shared content should give insight in the law firms your recruit for, uncover insider knowledge about the legal industry, or provide some kind of information about the job market for lawyers. Diversify your talent pool. If you want to keep your talent pool engaged, you must be sure that you’re not ignoring relevant communities. Make sure that your talent pool is diverse in terms of ethnic/racial makeup, gender, and socio-economic background. For example, having graduates from Ivy League universities as well as less esteemed law schools is important. Great talent exists in all communities. Maintaining an engaged talent pool will help you place talent faster and keep your services top of mind. Your talent pool is the backbone of your business, make them feel important by communicating with them every step of the way. 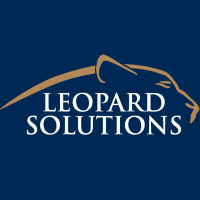 Subscribe to the Leopard Blog for discussions on recruiting, diversity, law firm insights, and other relevant topics.